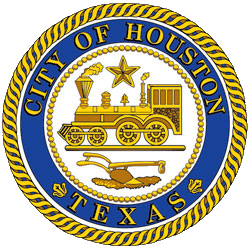 Mayor Sylvester Turner urges Houston companies and organizations to join the hundreds of their counterparts who already participate in Hire Houston Youth, the trailblazing program that matches the city’s youth with summer jobs, internships and apprenticeships that pay at least $8 per hour for seven weeks. The program empowers applicants 16 to 24 years old to “learn and earn” as they plan and train for full-time jobs in Houston’s dynamic economy. To sign up, employers should visit http://www.hirehoustonyouth.org/employers and create an employer account. If you are unable to hire a youth, you can sponsor a youth to work at a non-profit by making a $2,500 tax-deductible contribution. If you wish to sponsor or support this program, please visit www.hirehoustonyouth.org/donate. If you have questions, please contact hirehoustonyouth@houstontx.gov.